DETROIT -- Ford Motor Co. reported first-quarter net income of US$1.6 billion, down US$900 million from a year earlier, as revenue rose and profit margins shrank. Pretax earnings were US$2.2 billion, down US$1.6 billion, or 42 per cent, from a year earlier, when Ford posted its best quarter in the company’s 114-year history. The automaker’s revenue rose 1.4 billion, or 4 per cent, to US$39.1 billion thanks to a strong sales mix. But profits were pinched by charges for recalls, continued investment in new mobility services and higher parts costs for some of its 2016 launches. Executives said the quarter will be the toughest in what’s expected to be a down year. The remainder of 2017 will be about even to, or even better than, its financial performance last year, where it made US$10.4 billion pretax profit, second-best in the company’s history. 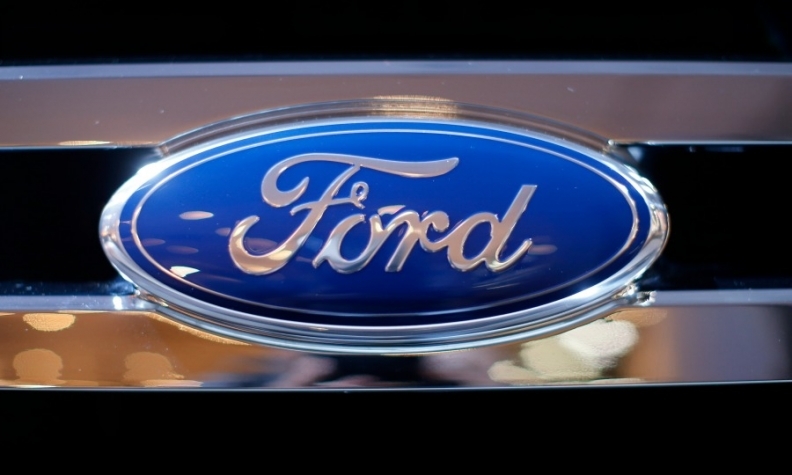 Ford shares were down 1.6 per cent to US$11.41 as of 11:46 a.m. ET. Ford’s profit margins during the quarter fell 4.4 percentage points to 5.4 per cent. Ford reported earnings per share of US40 cents, down from the first quarter of last year but better than the US35 cents analysts had expected. Ford took a US$467 million warranty hit in the first quarter. That includes a US$295 million charge for two recalls, one involving engines that could catch fire and the other involving door latches. CEO Mark Fields said the recall costs that have plagued Ford’s bottom line in recent years -- it also took a US$600 million charge in the third quarter of 2016 -- are due to building more vehicles with similar underpinnings. The automaker’s profits were driven by North America, where it made a US$2 billion pre-tax profit, down US$1.1 billion from a year earlier. Ford's Canadian financials are not broken out separately. As a wholly-owned subsidiary, Ford of Canada's profits are reported as part of the overall North American financial results. Profit margins there fell 4.6 percentage points to 8.3 per cent, and Ford’s market share fell 0.5 percentage points to 14.1 per cent due to lower fleet sales. Ford’s retail share rose two-tenths of a percentage point, thanks to sales of trucks, utilities and luxury vehicles. Ford made a pre-tax profit of US$176 million in Europe, down US$258 million from last year, for its eighth-consecutive quarterly profit there. The automaker expects continued profits there as it offers more expensive trims on some of its popular sedans and utilities. It also made US$124 million in Asia Pacific, despite a “tough quarter” for China, Shanks said. That was US$96 million less than it made there at the same time last year. Ford lost US$244 million in South America, although results improved by US$12 million compared with last year. It lost US$80 million in the Middle East and Africa, US$66 million more than it lost there a year ago. Ford reaffirmed its full-year guidance. It expects to make a pre-tax profit of US$9 billion, down from US$10.4 billion in 2016 as it invests in “emerging opportunities” like autonomous and electric vehicles. It's in the midst of spending US$4.5 billion through 2021 on 13 new electrified vehicles. Fields said that the company believes that in 15 years, there will be more electrified vehicles on the market than vehicles with internal combustion engines. It recently agreed to invest US$1 billion in artificial intelligence startup Argo AI over five years. And, Ford is expanding Chariot, a Silicon Valley shuttle service it acquired last year. Ford has forecast a profit for its Ford Credit arm of about US$1.5 billion this year, down from US$1.9 billion, because of lower auction values and a glut of off-lease cars. Ford Credit posted a pre-tax profit of US$481 million for the first quarter, down US$33 million from a year ago.